America has entered an era of polarization so severe that it threatens the future of our country. The gridlock and obstruction in Congress exacerbates this problem considerably. Our elected representatives in Washington embody the notion that party loyalty is more important than solving America's problems. As a result, voters on both sides of the aisle have been conditioned to seek partisan gains over the national interest. America's potential is being sacrificed in the name of partisan politics. It is not the politicians or political parties that lose under this system. It is the American people that lose. We all lose when Congress fails to find practical solutions to issues like infrastructure development, workforce development, trade policy, etc. We all lose when incompetence in Congress imperils our children' s education, our entrepreneurial spirit, or our economic opportunities. These issues affect all of us, so all of our representatives should be working together to find solutions. The bipartisan Problem Solvers Caucus, which was founded in January of 2017, must be expanded both in terms of members and issues addressed. We urge every voter to demand that their House Representative join this caucus, that the Senate form its own unofficial version of this caucus, and that the caucus expand its agenda to include the policies in our agenda. We need a Congressional Caucus dedicated to pursuing bipartisan solutions to the critical issues facing the American people. As you have seen throughout this website, many of the most critical issues are completely bipartisan. From infrastructure investment to advanced manufacturing, from workforce development to better trade policies, these are the things that the American people want and that they can demand with a unified voice. 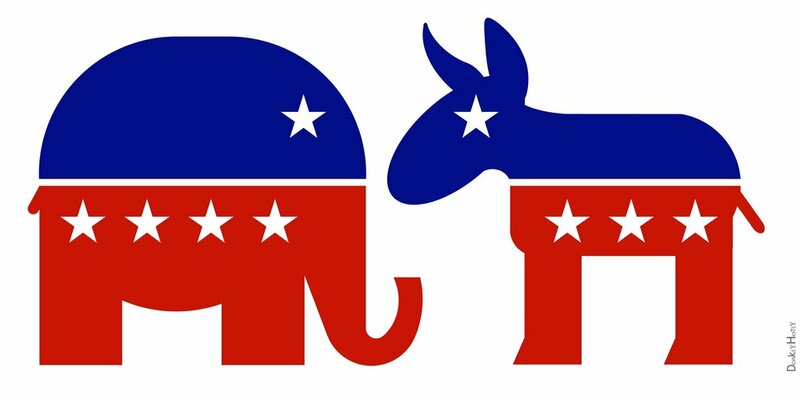 Even if our parties disagree on everything else, they must advance this agenda for the good of the American citizen. This is why we propose the expansion of the bipartisan Problem Solvers Caucus. The idea is that every member of this caucus will support the bipartisan agenda which we have put forth. They will adopt these policy positions into their campaign platforms and vote for them as sitting representatives. Voters can choose whether to elect a Republican or Democrat based on their differences on other issues, but every individual in the Problem Solvers Caucus will pursue our bipartisan agenda on the issues listed throughout this website. Therefore, no matter which party controls Congress or the White House, we will still get our National Infrastructure Bank, our Bipartisan Criminal Justice Reform Commission, our expanded network of Manufacturing Institutes, etc. This caucus will not only advance policy solutions, but will actively seek common ground between the parties. They will ensure that on the most critical issues, America can form a unified front. This can go beyond domestic policy. The Problem Solvers Caucus can serve as the source of continuity on important foreign policy issues such as maintaining sanctions on Russia and extending Freedom of Navigation maneuvers in the South China Sea. This will allow America to pursue a long-term foreign policy agenda which will increase the trust and participation of our allies and dissuade our rivals from attempting to influence different candidates or parties. It will also allow America to pursue a long-term domestic policy agenda which will create greater investor confidence in the American economy. We must eliminate the chaotic political climate in our country which erodes international trust, diminishes investor confidence, infuriates voters, increases divisions within the country, and wastes America’s great potential. The time to work together is now. The country, and the world, needs an American caucus dedicated to unity, continuity, and sanity.